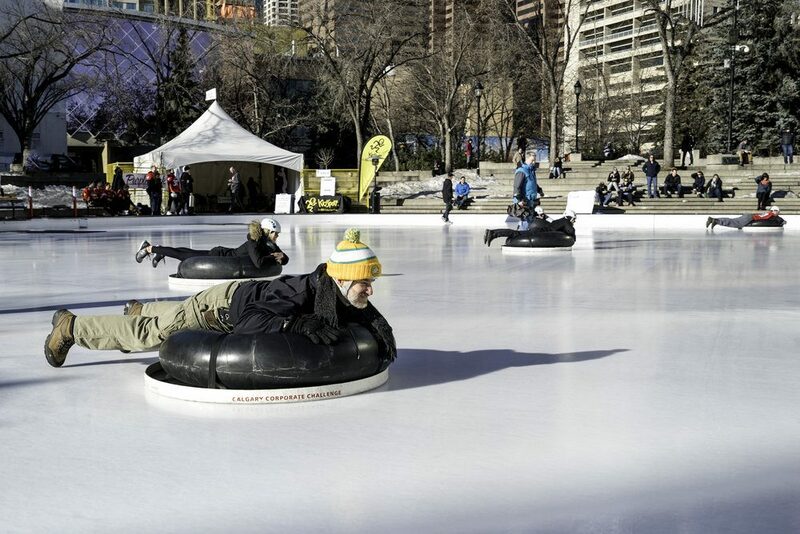 Kickoff the first week of March with these 20 Calgary events from Monday, March 4 to Thursday, March 7. Calgary Flames, Barack Obama, and more. For more things happening around town check out our events section. What: The Flames take on the Toronto Maple Leafs at Scotiabank Saddledome. What: As part of Calgary’s Corporate Challenge off-season events, anyone with a team of 4 can participate in this fun winter activity. Often compared to life-size curling, each teammate will have three rounds to be launched along the ice and make it closest to the button. All in support of KidSport Calgary. What: The Owl’s Nest YA for Adults Book Club is for adults who love Young Adult fiction. Each month attendees will meet to discuss a compelling YA novel and will explore many genres within the YA category. This month’s pick is Emergency Contact by Mary HK Choi. What: Learn all about Dungeons & Dragons on the first Monday of the month at The Ship & Anchor. These nights are specifically designed for anyone who has no experience with the world of ‘tabletop role-playing games’ such as D&D, Pathfinder, or any of the others out there. The evening will begin with a first-come-first-served selection of a character to play, followed by a quick Q&A, then diving right into the adventure. What: Hosted by the Marcus Trummer Band, Youth Jam invites all youth musicians and bands are invited to come play at The Blues Can the first Monday of every month. Bring an instrument, a few songs and a few friends. What: Barack Obama will be landing in Calgary this March for a visit to the Scotiabank Saddledome. 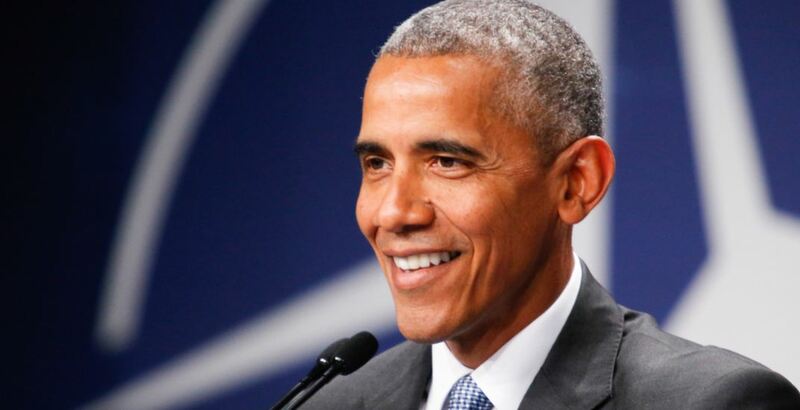 “A Conversation with President Barack Obama” is a ticketed event that Calgarians (and visitors) will be able to attend for $104 and up, and will be taking place on March 5. What: Interested in upping your cocktail game? Learn the ropes from the experts at Shelter. You’ll learn everything from the comprehensive history of cocktail culture, mixology origins dating back in the 1800s and the resurgence of a craft beverage in the early 2000s. The class includes three cocktails, complimentary bar snacks, muddling, stirring, shaking, and smoking techniques. You’ll also receive your very own cocktail survival guide. Attendees must be 18+. 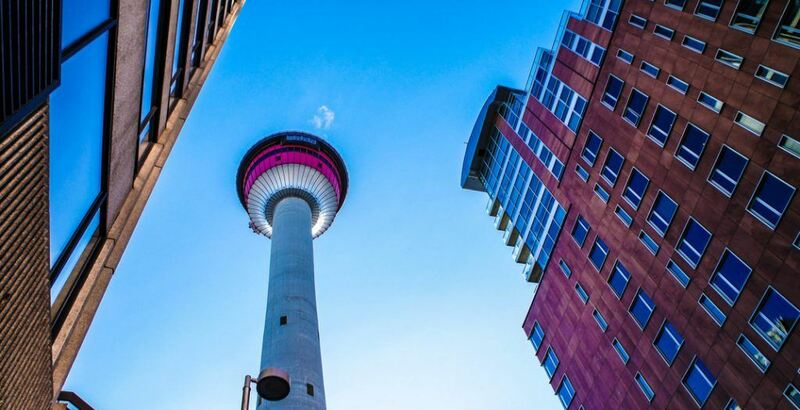 What: The 802 Challenge is back in Calgary for the third year in a row, offering Calgarians the chance to brave the 802 steps that climb up one of the city’s most iconic landmarks. Operating on Tuesdays throughout the month of March, the challenge runs from 4 to 7 pm and charges participants $10 a head for a try. Not a bad deal, seeing as usual admission to the Calgary Tower will run you $18, and that’s without the workout. Advance registration is not required, though your best pair of running shoes is definitely recommended. What: You can’t beat a classic with a classic! 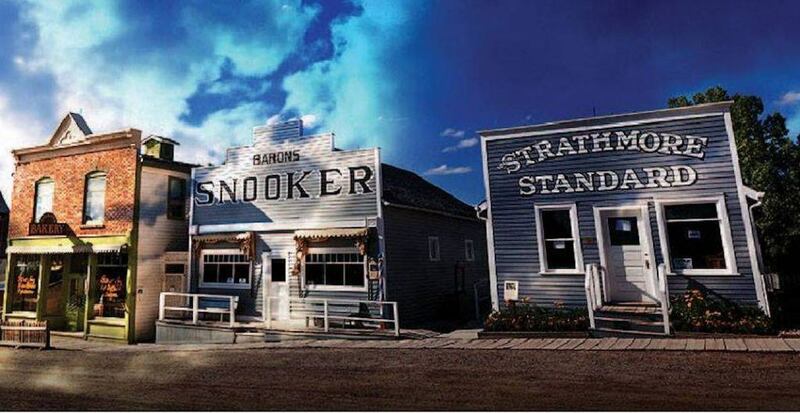 This ain’t no typical ‘dinner and a movie,’ as Heritage Park brings it up a notch with their delicious, themed three-course dinner in the Selkirk Grille Restaurant, before presenting a timeless classic film that will truly bring you back to a wonderful time in history. What: William Prince is a JUNO Award-winning singer-songwriter. Raised on the Peguis First Nation of Manitoba, Canada, William has been honing his craft since age nine when he first picked up the guitar and piano. Lead by debut single “Breathless,” 2018 saw William’s album Earthly Days being released worldwide by Glassnote Records. What: Curious Calgarians will have a chance to learn about the ghostly figures that haunt their city by taking a Heritage Park Ghost Tour this spring. Each tour is 90 minutes long and will take attendees through the alleyways and streets of the Historical Village and verse them in various spooky stories that will make their skin crawl. They depart from Gasoline Alley at 7 and 7:30 pm, though the truly terrified would be wise to choose the earlier, brighter tour. What: Doc Soup Calgary is a monthly feature-length documentary series presented in partnership with the Calgary International Film Festival and Hot Docs. When he started as a comedy writer for the Late Show with David Letterman, Steve Young had few interests outside of his day job. But while gathering material for a segment on the show, Steve stumbled onto a cache of vintage record albums that would change his life forever. What: Canada’s Sports Hall Of Fame opens their doors on the first Wednesday of every month with free admission, cash bar, fun interactives, and a speakers series. Plus enjoy the Design Canada Documentary at 6:30 pm. What: An evening with renowned poet, novelist, public talker, and journalist, Eileen Myles. They will be presenting their latest poetry book called, Evolution, which has been called, “Chicken soup for the queer soul” by Ashley Tomaszewski of the Literati Bookstore. They will also be presenting their book, Afterglow: A Dog Memoir, about their relationship with their pit bull named Rosie. This event includes an on-stage interview and audience Q&A, followed by a book signing. Cash bar available. What: In celebration of the 30th anniversary of their debut, self-titled album, Barney Bentall and the Legendary Hearts perform at The Palace Theatre with guest Mike Plume. The JUNO Award-winning band, whose present-day lineup features Bentall and Legendary Hearts Mike Crozier, Jack Guppy, Colin Nairne, and Dave Reimer, released the platinum-selling album in June 1988. What: Conductor Steve Hackman conducts Brahms’ Symphony No. 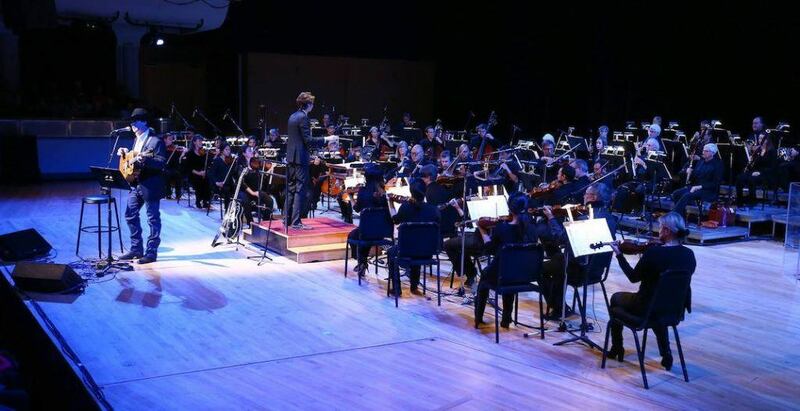 1, which is the source material for his boundary-shattering Brahms v. Radiohead project, featured in concert on March 9. Brahms finished this symphony 20 years after he started it. What: For the remainder of this winter season, the Acura Tube Park will be open on select nights from 5 to 7:30 pm, allowing business-hour-workers the chance to go for a few slides — without the hassle of the crowded slopes on the weekend. If not night tubing, the park is also open on most weekend days from 10 am to 1 pm or 2 to 5 pm. Time: 5 to 7:30 pm on March 7, 14 and 21. 10 am to 1 pm and 2 pm to 5 pm all other dates. What: The Artifact Small Format Film Festival (formerly the $100 Film Festival) is Calgary’s only celluloid-based film festival. Over the years, Artifact has expanded to include the popular Film/Music Explosion!, commission projects, and various partnerships. What: Explore the Glenbow Museum at your leisure for FREE on the first Thursday of every month. What: Toronto piano quartet Mosaique brings their cross-Canada tour to Calgary with 14 new Canadian compositions representing new music from across the land.